Prime Minister Narendra Modi greeted all on the occasion of Eid-ul-Fitr. He said inspiration should be drawn from such pious festivals to spread happiness and take the nation forward. He emphasised that India's diversity is its speciality as well as its strength. "The holy month of Ramzan was celebrated with devotion. Now it is time for Eid. On the occasion of Eid-ul-Fitr, my best wishes to all," Modi said in his monthly radio programme 'Mann Ki Baat'. Eid-ul-Fitr, which marks culmination of the fasting month of Ramzan, will be celebrated on Monday. "Ramzan is a month of holy donations, to spread happiness... Come, let us all together take inspiration from such pious festivals to keep spreading the treasure of happiness and keep taking the nation forward," he added. While talking about the diversity, the Prime Minister also referred to the Lord Jagannath Yatras taken out on Sunday in the country as well as some parts of the world with devotion and religious fervour. "I extend greetings to the countrymen on the occasion of Jagannath yatra," he said during the 30-minute programme. "The country's poor people are connected to Lord Jagannath. Those who have studied Baba Sahab Ambedkar would have seen that he used to shower praise on Lord Jagannath temple and its traditions because it involved social justice and social harmony," Modi said. In this context, he referred to the word 'juggernaut' andsaid it means "such a chariot which cannot be stopped by anyone." While mentioning about Ramzan, the Prime Minister highlighted an "inspiring" gesture of the people of Muslim-dominated Mubarakpur village in Bijnaur district of Uttar Pradesh. He said during the Ramzan, the people of the village with a population of about 3,500 families, mostly Muslims, decided to collectively construct a toilet. To extend help in this endeavour, the government provided about Rs 17 lakh, Modi said. "But you will be happy to know that all the Muslim brothers and sisters, on the occasion of Ramzan, returned the amount of about Rs 17 to the government saying they would construct their toilet with their own money and labour," the Prime Minister said. He said the villagers told the government to spend the amount on providing other facilities in the village. Congratulating the villagers of Mubarakpur for this, Modi said while their gesture was inspiring, the bigger element was that village was made 'open defecation free' (ODF). He said three states -- Sikkim, Himachal Pradesh and Kerala -- had already been declared ODF and recently Uttarakhand and Haryana had also joined these states. "I thank the governments and public of these five states for accomplishing this task," Modi said. The Prime Minister, who is vigorously pushing the 'Swacch Bharat' campaign, said accomplishment of the programme will need a sustained and a prolonged effort. "Such bad habits (of open defecation) have become a part of our lives. To get rid of these (bad habits), we will have to persevere. We will have to draw everybody's attention. Positive and inspiring stories will have to be told again and again," he said. At the same time, he expressed happiness that cleanliness is now no longer a government programme but has become a mass movement. He said this strengthens the government's resolve. In this context, he mentioned a recent case in Vijaynagram district of Andhra Pradesh, where the people and the administration took a resolve of constructing 10,000 home toilets in 71 villages within 100 hours non-stop. They accomplished the task within the time period and 71 villages became ODF, he said about the initiative launched at 6 am on March 10. He hailed the endeavour, saying it was very inspiring. During the programme, the Prime Minister also referred to a letter written by a housewife in Madurai district of Tamil Nadu. In the letter, she had written that she was selling goods through the 'Government E-Marketplace', an online portal, and even the Prime Minister's Office had bought two items from her through it. "This is empowerment," the prime minister underlined, highlighting how entrepreneurial skills can be utilised in a transparent manner by anyone in the country. Modi also appreciated the manner in which the International Day of Yoga was celebrated across the world recently. Along with it, he referred to the recent successful launches of satellites by the ISRO. "This shows that while our feet are on the ground, our dreams are flying high," the Prime Minister remarked. He also said that the Mars Mission, which had been launched on June 19 last year for a six-month period, had completed one year and was still functioning well. He also sought to give a push to the concept of presenting books or khadi items as gifts instead of bouquets. 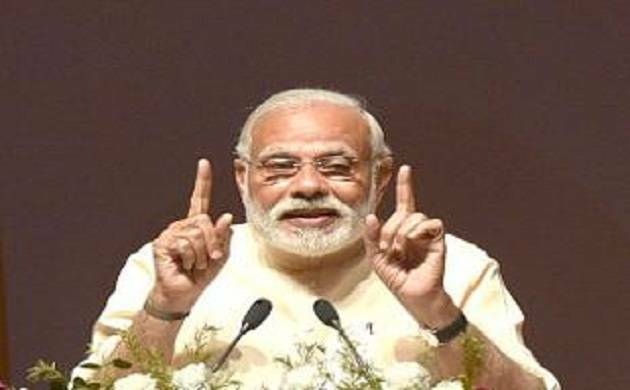 Modi also asked parents to encourage their children to play more sports as he praised badminton player K Srikanth for winning the Indonesia Open recently. He said everyone should aspire for medals in the next Olympic Games.